Considered the best in the world, authentic Belgian brews such as Orval, Grimbergen and Chimay will delight beer fans. 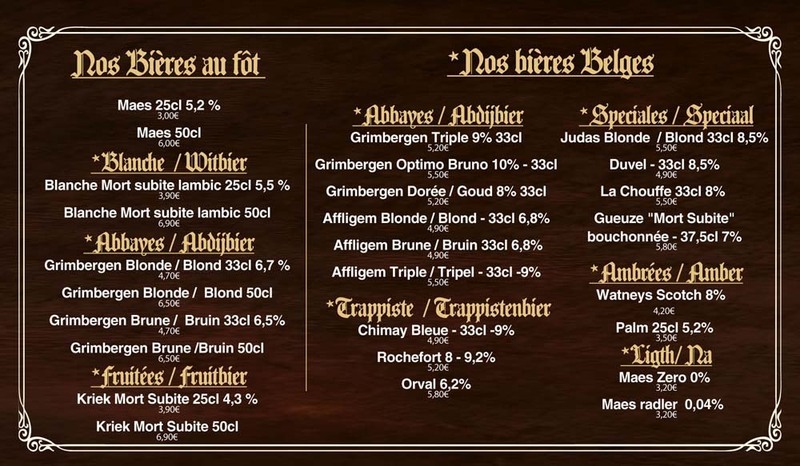 The Grimbergen Café is the place to be for anyone looking to taste great beers in Brussels. Come discover or rediscover one of the many locally-produced brews on the menu, featuring all of the country’s best beers. Not quite sure which beer to choose? Feel free to ask the Grimbergen Café’s knowledgable and experienced servers and bartenders for advice - they’ll be happy to help you choose! How about you, which beer is your favourite? For more information or to reserve a table, feel free to contact the Grimbergen Café. 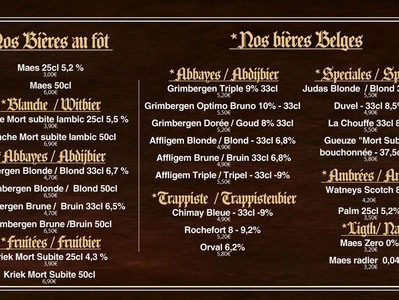 Come enjoy the best beers and traditional Belgian dishes. The kitchen is open non-stop, from 11 a.m. to 11 p.m.